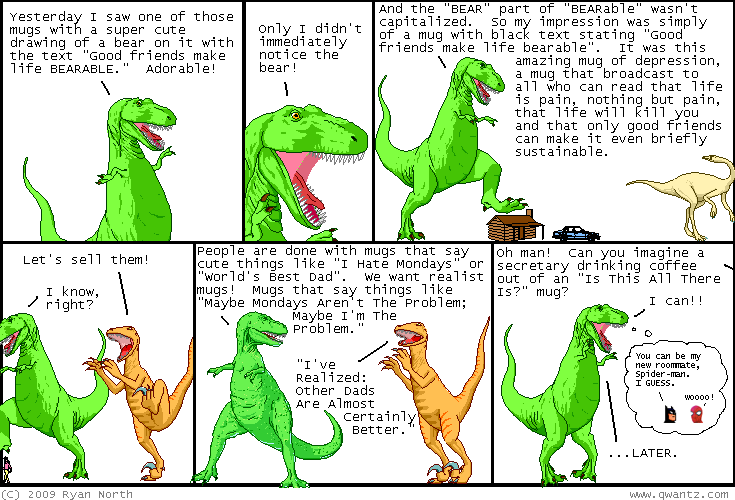 Dinosaur Comics - September 11th, 2009 - awesome fun times! –"T-Rex, why are you opening the Professor's mail?" September 11th, 2009: I like Posterchild's idea of adding googley eyes to Mad Men ads. It works great, but then again, I've never in my entire life seen a situation in which googley eyes have failed to work great!